Braeden LOVES his bounc'n zebra, that I just had to post a video. Enjoy!! Found your blog while surfing blogs for other Real Housewives of Orange County fans...love your blog...my 2 little ones have that same zebra...they have spent alot of time jumping on him! Hi! 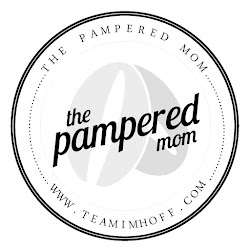 I'm Natalie "aka :: The Pampered Mom", thanks for stopping by Team Imhoff! When people ask me how I landed on "The Pampered Mom" I always tell them ... because like anyone who's pampered I have everything I need with just my husband and my two boys by my side. I am pampered by Love!